Suggesting the Coen brothers’ upcoming Hail Caesar will meld their two general moviemaking modes, George Clooney—a mainstay of the duo’s comic romps like O Brother, Where Art Thou? and Burn After Reading—will be joined by Josh Brolin, who generally delivers “romps” in the form of boots to the head. 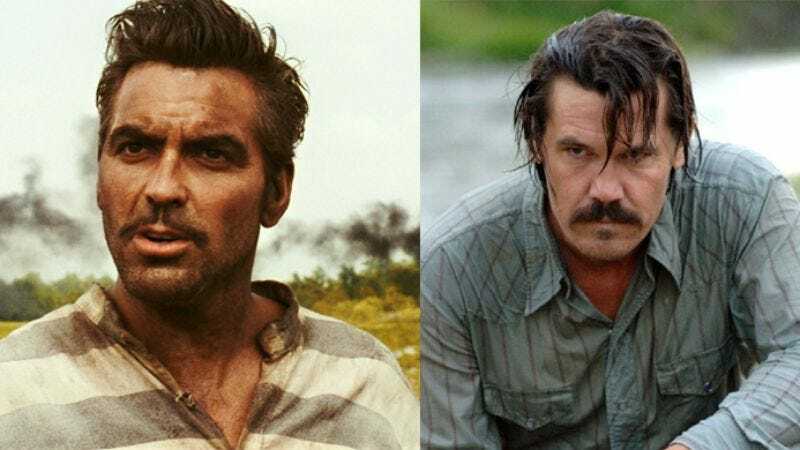 The No Country For Old Men and True Grit star has been added to the cast of the Coens’ 1950s-set story of a Hollywood “fixer” at the height of the studio system, though the exact nature of both his and Clooney’s roles is currently unknown. Still, with the script reportedly making a nod to infamous MGM tough guy Eddie Mannix, and the story calling for someone to crack some heads against the backdrop of splashy musicals, presumably there’s room for both Clooney’s schmoozing charm and Brolin hitting people, if that’s the way things shake out. There’s also room for them to play a sozzled, Hope & Crosby-style song-and-dance duo, if that’s what the Coens want, and there’s always room for John Goodman to play just about anything.